Twice a year, the good people of jazz.fm ask their listeners to make donations to their 24 hour, 7 day a week, radio station. JAZZ.FM91 is a not-for-profit registered charity and relies on their listeners to make up half of their annual budget. If you love jazz and want to support jazz music, musicians, clubs, etc... please call or email a pledge right away! Donate on line at jazz.fm or call 1.800.811.2400. The Pledge Line is open for the next three days. The drive ends Sunday May 3 at 10pm. Tickets $10 or $20 which includes a CD. Kollage release their brand new CD “Kollage-The Rhythm Section” on Sugar Moon Music Inc. TONIGHT at Pero Lounge, a restaurant known for it’s great African food and cozy vibe. 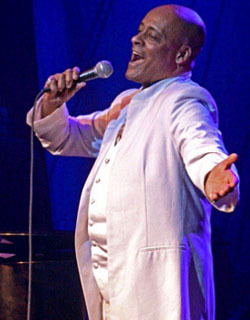 Drummer and band leader Archie Alleyne is joined by bassist Artie Roth, pianist Robi Botos and extraordinary jazz vocalist Michael Danso for a great night of music! Revival – 783 College St.
Stars of the Toronto burlesque scene dish up a Feast for the Senses at "Burlesque A La Carte", a delightful menu of titillating performances from some of the leaders in the Toronto burlesque world including Skin Tight Outta Sight, Coco Framboise, Miss Mitzy Cream, Ceci My Playmate, Boylesque TO, Les Coquettes Nouveau Burlesque, Mysterion the Mindreader, The Saucy Tarts, Miss Cherry Temple and The Harlettes. There will be feature performances by one of the stars who stole last year’s show, Windsor’s Roxi D’Lite, and Miss dd Starr, the winner of last year’s "Strip Search" Amateur Burlesque Competition – she has since gone pro! Hosted by Dora-award winning performer Keith Cole, the event will also include a "Wheel of Peel," Balloon Girls, and a Silent Auction featuring incredible donations from a host of sponsors. All proceeds are in support of The Toronto Burlesque Festival: Tassels without Borders, taking place July 23 to 26th 2009. 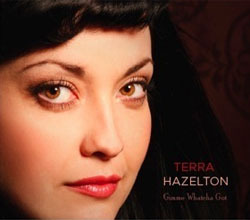 Terra Hazelton will launch her second album, 'Gimme Whatcha Got', featuring one of Canada's brightest young stars Drew Jurecka, on violin, Canadian all-stars George Koller (bass), Jesse Barksdale (guitar), Chris Gale (tenor sax) and William Sperandei (trumpet) and many more... The album also features special guest appearances by Michael Kaeshammer, Shannon Butcher, Kira Callahan, Canada’s ‘Sweetheart of Swing’ Alex Pangman, country music star Russell De Carle, and The Valleau Brothers of from the Calgary band The Polyjesters. Terra is also known as the lead vocalist for Jeff Healy's Jazz Wizards, The Jivebombers and The Royal Jelly Orchestra and has toured and performed across Canada. 'Gimme Whatcha Got' re-introduces jazz and blues audiences to Terra Hazelton as a solo artist set to make an even bigger splash on the Canadian and international jazz scene. 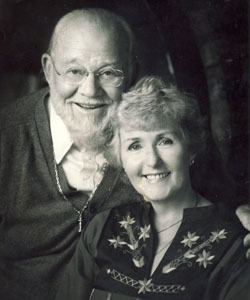 A classic shot of Burl and the great love of his life, Dorothy! Burl Ives recorded literally hundreds of albums, starred in dozens of films including “Cat On A Hot Tin Roof”, “Desire Under The Elm” and “Big Country” (the latter which earned him an Oscar) and was the voice of Sam the Snowman in that infamous Rudolph animated special that airs every Christmas. On this night you will learn more about Burl…did you know when he was young Santa Clause wore purple, Colonel Sanders had never cooked a chicken and his first gig at the age of four was in front of veterans of The American Civil War. He would’ve been 100 on June 14th, but passed away at 86, on April 14 (Good Friday), 1995. There evening will feature Burl Ives music played between sets, a short screening of some film clips (including a short home movie Jaymz Bee shot while staying at Burl’s home in Washington State) and there will be a Burl Ives look-a-like contest, game show and more! 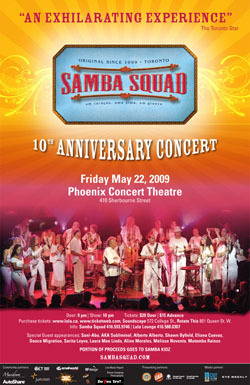 Some of the performers for this tribute include: Joe Hall, Roger Clown, Jaymz Bee, Sahra Featherstone, Jason Fowler, Heather Luckhart, Waylen Miki, Great Bob Scott, George Koller and more. The Music Director of the night is Tony Quarrington. Celebrate the 7th anniversary of Lula Lounge with a twelve-night festival uniting Cuban, Brazilian and African Reggae with Jazz, Sicilian, Indian Rumba Flamenca, Hindustani raag and MPB. 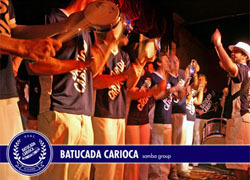 The festival brings local artists together with international and Canadian talent from across the country. 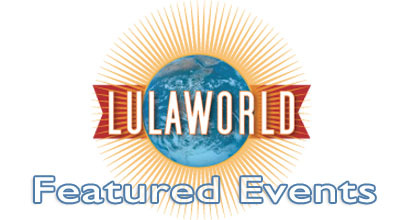 Visit lula.ca for the complete event schedule. 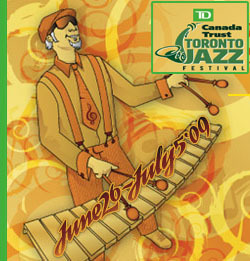 Get jazzed this summer when the city’s largest music festival takes over Toronto with performances by Tony Bennett, Sonny Rollins, Dave Brubeck, Jamie Cullum, Gary Burton Quartet Revisited with Pat Metheny, Branford Marsalis, Dave Holland, Maria Schneider Orchestra, Sadao Watanabe, Melody Gardot, Jose Gonzalez, Alice Russell, Jane Bunnett, Brandi Disterheft, John Stetch, Chris Potter, Charlie Hunter, Shuffle Demons, Rob McConnell & The Boss Brass, Soul Stew, Jackie Richardson & Joe Sealy, Adam Brazier, Adi Braun and many more! Two lucky winners will win a free pair of tickets to any Mainstage concert of their choice at Nathan Phillips Square. Simply answer the following question and send your answer to publicity@tojazz.com by Monday, June 1 – How many venues are listed on the Toronto Jazz Festival venue map? HINT: Check our website, under Festival information for the answer.